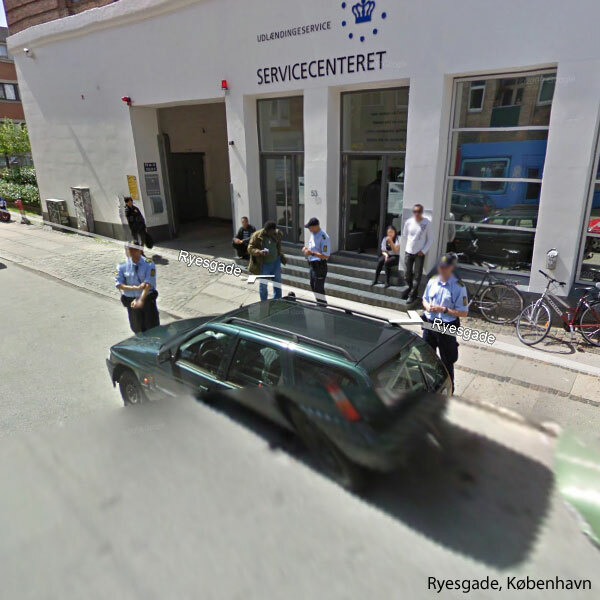 Google Street View was launched in Denmark last week, where more than 32,000 kilometers (20,000 miles) worth of streets have been photographed. 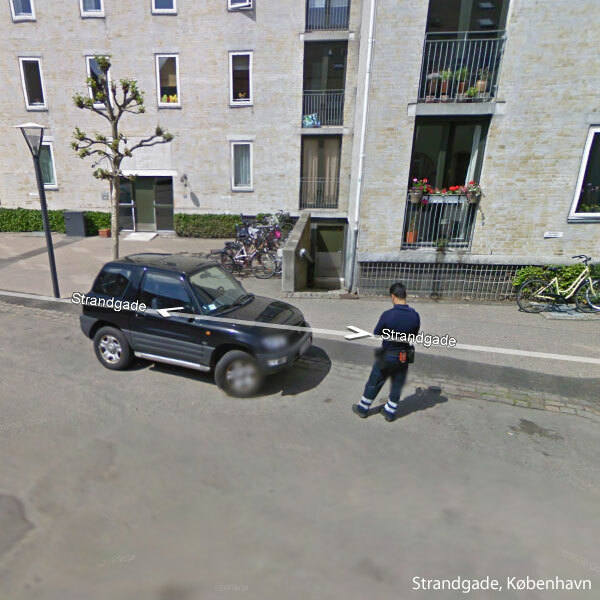 The Danish people has been busy finding funny situations the following few days and submitting them to online newspapers within Denmark and the results are in: Lots of funny pictures from Google Street View! The first one (below) is a picture of a guy crashing on his bike. According to Peter Friis, CEO of Google Denmark, the guy that crashed is a friend of one of the Google Denmark employees. 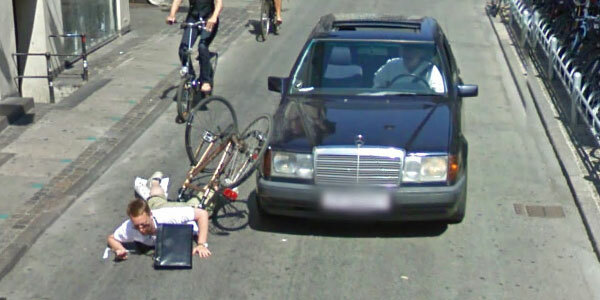 He crashed while he tried to take a picture of the Google Street View car. 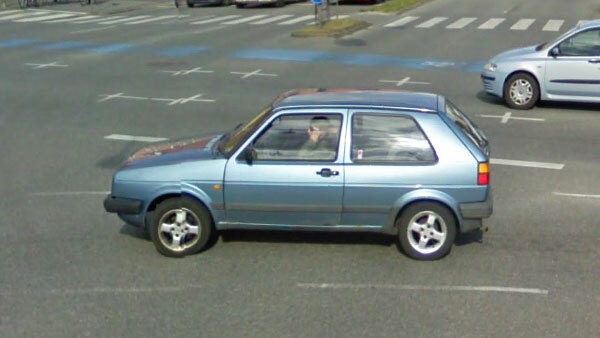 The guy thinks that it’s a funny picture and apparently he doesn’t want to have it removed from the Street View service. 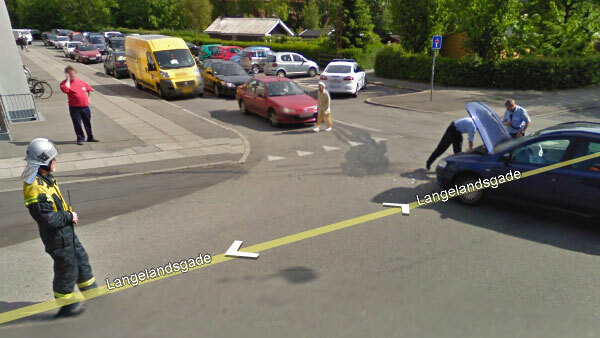 Guy crashed on his bike while trying to photograph the Google Street View car. 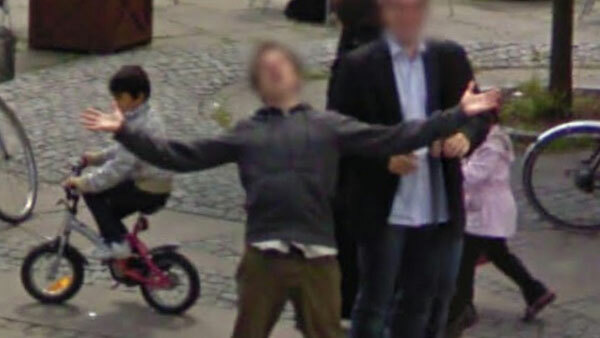 Singing for the Google Street View car? 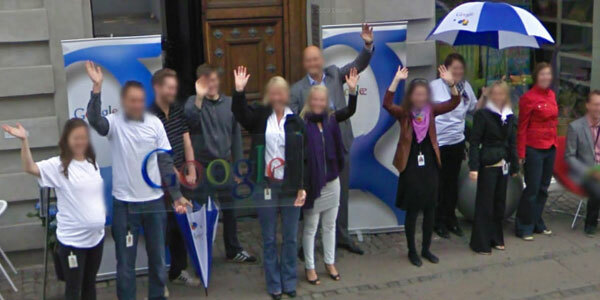 Employees at Google Denmark. Now, back to work!! Sometimes you just can't wait!! 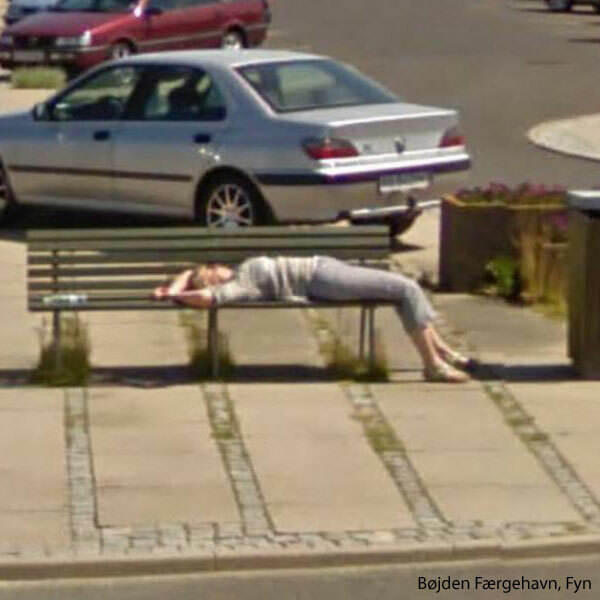 Weather looks nice, why not take a nap? Memo to self: Refuel before engine stops. That's sooo not what pants were designed for!! The Mercedes is the only car supposed to be driving right there. It doesn't look too serious, let's hope nobody got hurt. Talking on the phone while driving requires a headset, lady. these pictures are too funny. 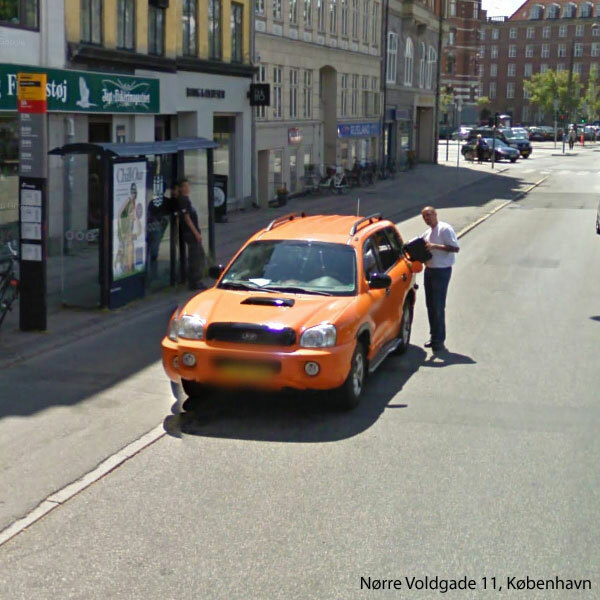 I think that I would do the same thing if i saw the Street View car taking pictures. The guy falling off of his bike trying to get a picture of the car is great. 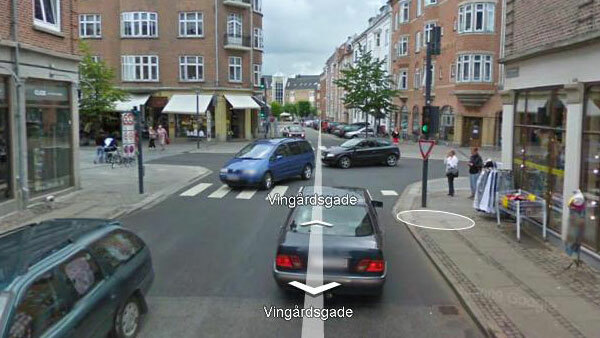 I can’t believe that the Denmark gov’t is allowing some of these pictures to be up there. haha the last ones pretty good. FYI, it’s illegal to talk on the phone full stop in the UK and even a headset is illegal. 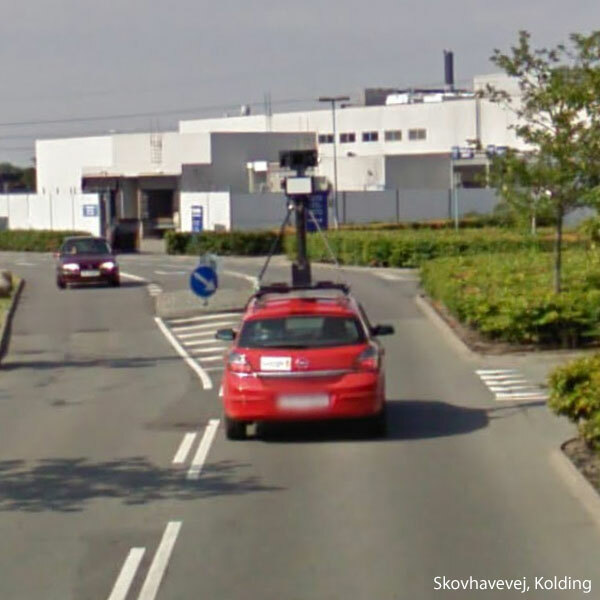 once again Denmark gets the full attention of Google. thank you google. Haha i enjoyed every second i spend in this post. I would like some more ! I really do! I like “That’s sooo not what pants were designed for! 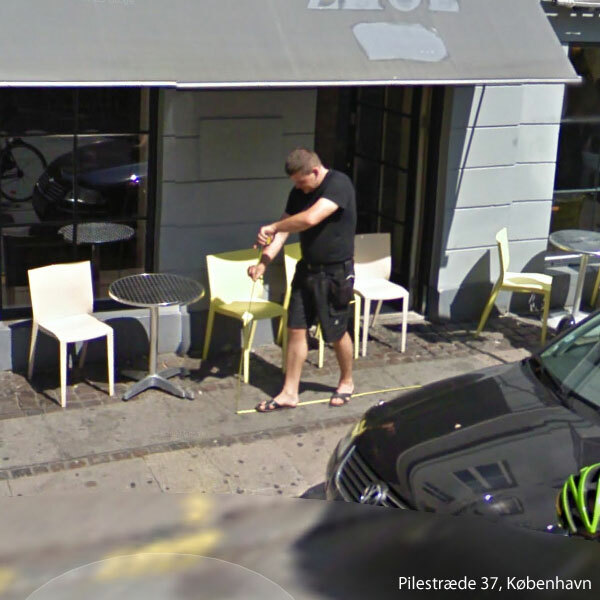 !” photo from street view. 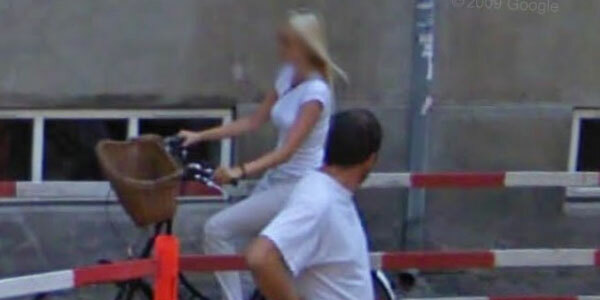 Need better street views..
Hahaah, very funny last picture. Google really suprise you. I like the kid with the pants… So cool..
hahaha. The “Guess we’ll never know…” lol wth is he doing. And the last one… 9gag worthy haha. That was a great articles thanks!